"Sintered compound for sport street and moderate track use. The good friction coefficient when hot and above all the stability at high temperatures allow consistent braking performance from the start to the last Sintered compound for sport street and moderate track use. The good friction coefficient when hot and above all the stability at high temperatures allow consistent braking performance from the start to the last lap. The good friction coefficient of this material when cold allows efficient street use." From the Brembo website and from use I would agree with what it says. In that case I might try the SC when mine are due for replacing. They cost a fair bit less than the BMW ones too. I’ve run both AP and PFM 6 pots on my 1100s and Beringers on my Tiger and tried going away from OE which didn’t work and begrudgingly doing the same with my K and X/R just take a paracetamol before paying but at least their are no nasty surprises apart from the price. Ok, put the Galfer pads on and although they are better and there is no longer free play up and down in the caliper the disc mounts to wheel are moving about when the pads are clamped to the disc by pressing the lever. 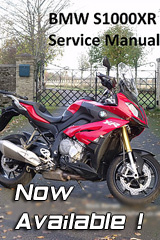 It seems to be an XR issue since the dealership showed me another bike with exactly the same problem with less mileage. Does anyone know if this can be fixed by either re-tightening the bolts that clamp the disc to the wheel? BMW quoted me an exorbitant amount to fix this issue and it just doesn't seem worth it.